Egremont a historic market town associated with West Cumbrian iron and steel production. More recently, its economy and community have become closely associated with the nuclear industry, while the benefice area continues to include significant farming. The post is for Team Rector in the Benefice of Egremont. It comprises two parishes (the Parish of Egremont with Bigrigg, and the Parish of Haile) and has three church buildings: St Mary and St Michael’s at Egremont together with St John’s at Bigrigg and Haile Parish Church. Situated between the World Heritage Site of the Lake District National Park and England’s ‘Energy Coast’, its three churches and their associated communities offer significant change and challenge for a new Team Rector. Required application forms for this post are available on the Diocesan Website. Completed applications should be sent by email to the Archdeacon of West Cumberland. The new Rector will oversee the parish church of Egremont, a daughter church at Bigrigg, and the parish church at Haile. Together these provide an exciting opportunity to develop the Benefice within an emerging mission community as part of the ‘God for All’ ecumenical initiative in the Carlisle Diocese. This is a medium sized benefice in West Cumbria with potential for growth spiritually and also numerically, providing the opportunity to be an influential Christian voice in our community. The Benefice represents a mix of urban and rural life and centres on the market town of Egremont with its the many outlying villages. Can bring vision and vocation to encouraging mission engagement. Is both leader and ‘team player’; friendly, sociable and approachable. Can encourage lay Christians to develop their gifts. Is eager to offer Christian commitment to local schools, and other expressions of community. Will identify and develop opportunities to enhance local social and pastoral care. Is at home and enjoys both urban and rural communities. To oversee the parish church of Egremont and its daughter church at Bigrigg and the parish church of Haile. 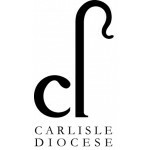 To develop the Benefice within an emerging mission community focus under the strategic aims of the Diocese of Carlisle . To provide creative and visionary leadership to help grow our mission and ministry. Provide leadership within the development of spiritual and devotional life. Lead outreach to the local community. To embrace the emerging initiative of ecumenical mission community. To provide an “inclusive” ministry that will be sensitive to the pastoral needs and life style of the regular congregations and to occasional worshippers. To develop and deploy an understanding of the challenges of urban and rural communities. The new Rector should be friendly, sociable and with good inter-personal skills, as well as a practical leader with the energy and imagination to reach out to the local community. Vision and vocation to encouraging mission engagement. Team leadership and team player skills. Encouragement of laity to develop Christian gifts. Ability to deliver Christian commitment to local schools and other areas of the community. Ability to develop and enhance social and pastoral care. The Benefice is located in the western region of Cumbria situated between the World Heritage Site of the Lake District National Park and England’s ‘Energy Coast’. As such, it provides a location within easy access to the Lake District and the Cumbrian coast line providing many good walks in the local area with the western lakes of Ennerdale and Wastwater nearby. An established Christian presence in a supportive community. Financial stability in a mixed and changing economy. Open hearts and minds for the development of mission initiatives. Vibrant lay support, and ecumenical companionship through Churches Together. Open, reflective Eucharistic worship in the modern Catholic tradition. There is a hospitable rectory, situated about ten minutes’ walk from the church; it has four bedrooms with a large garden and parking area. Our Benefice can provide a welcoming Christian community in both urban and rural locations. The area provides good amenities and well-regarded schools on the doorstep of the stunning mountain and coastal landscapes.